In this blog, Chair of Scottish Board Alan Watson talks about the Spring Lecture and Professor Sir John Curtice's talk entitled "Brexit: Democratic Success or Failure?". The Scottish Board of the IFoA is delighted that this year’s Spring Lecture will be presented by Professor Sir John Curtice, in Edinburgh. Our spring and autumn thought leadership lectures aim to demonstrate how the actuarial skillset has application and significance in a wider world context, and how we as actuaries can learn from other professions. Professor Curtice is Britain's pre-eminent psephologist. Students of British politics will have been aware of his contribution over many years on numerous election night broadcasts. He is well-known for his expert research and polling methods in electoral behaviour. It is for this reason that the Scottish Board asked him to come and share his insight. He is a familiar face in the media, giving impartial insight into the fact and figures behind the driving trends of UK elections. During the last five years, the United Kingdom has been on something of a democratic rollercoaster. There have been two General Elections and two referendums, on Scottish independence and the UK’s membership of the European Union. In the run up to any election, polling reports and statistics attract a great deal of attention. Their most important function is to help journalists and the public understand how much support there is for particular policy changes. In recent years, however, the polling industry has been subject to significant criticism. Concerns created after the 2015 election surrounding accuracy were compounded by the 2017 General Election and the EU Referendum results. Just one third of pollsters correctly anticipated the final result. However, at a time when public faith in polling is waning, John Curtice’s accuracy and commitment to scientific methods have shone through. 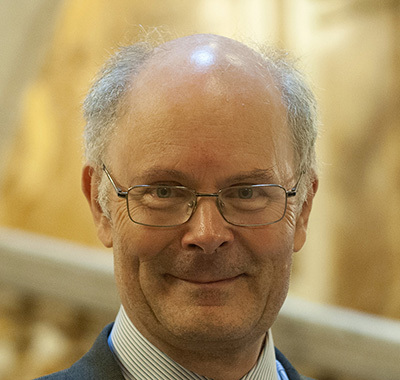 Professor Curtice’s polling work has been universally lauded for its accuracy. Drawing on over 38 years of experience, his predictions often go against the grain, to correctly predict shock election results. Professor Curtice was able to predict, with remarkable accuracy, the outcome of the 2017 general election, where the Conservative Government lost its majority. Professor Curtice gave an excellent talk at the GIRO conference in Edinburgh in October 2017. There he explained why the 2017 election results were different from expected. He also outlined the limitations of political polling and what influences their variability. We are particularly looking forward to hearing Professor Curtice’s talk, entitled "Brexit: Democratic Success or Failure?" Actuaries and pollsters have a lot in common, with our love of data and expertise in the art of calculated predictions. Actuaries gather data to understand the nature of risk. With rapid advancements in technology, we can collect, store and draw insights from data like never before. This brings the potential to transform both traditional actuarial fields and open up new sectors and industries. Likewise the development of the digital age has undoubtedly impacted on polling, opening up the industry and making the polling market easier to enter.